Manitoba has long been a source for Canada’s mineral wealth and will continue to provide a diversified source for metals going into the future as companies continue to fund exploration in the province. In 2013, $1.3 billion in minerals were produced and made up 6% of the province’s GDP. There remains immense untapped mineral potential with only 1.4% of total Canadian exploration expenditure being spent in Manitoba as of 2013. According to the Fraser Institute's Annual Survey of Mining Companies: 2016, Manitoba moved up from 19th place to 2nd place in terms of the Institute's Investment Attractiveness Index. 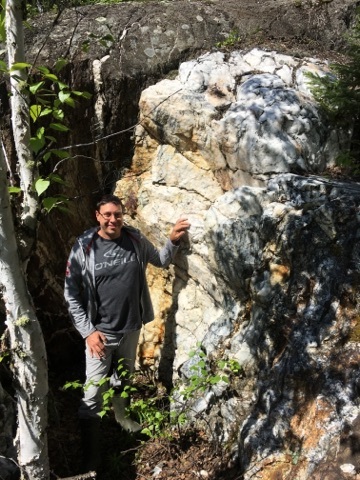 There are immense areas of Manitoba still left unexplored compared to other jurisdictions in Canada, which leaves plenty of potential for mineral discoveries. The company recently put out an updated Mineral Resource estimate using a cut-off grade of 3.0 g/t Au, Indicated Resource of 1,180,000 tonnes at 6.32 g/t Au for 240,000 ounces and an Inferred Resource of 240,000 tonnes at 4.89 g/t Au for an additional 38,000 ounces at its Tartan Lake Project. Indicated resource gold ounces and grade have increased by 135% and 24%, respectively, compared to the 2012 mineral resource estimate. This is an impressive start and the company hopes to continue increasing the resource with its current drilling program. 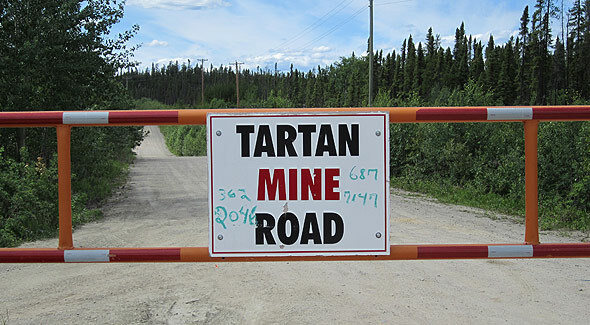 The company began drilling at its 100-per-cent owned Tartan Lake project on June 13th. The 2017 drilling program consists of 4,000 metres of diamond drilling in two phases. The first phase will conduct 2,000 metres of drilling in six holes to expand the resource outside of the known high-grade gold resources in the main and south zones and to get a more accurate picture of the resource. This will hopefully be wrapped up by July. The second phase will follow up on the results from the first phase and explore some other targets in the area. Will Ansley is an experienced hand in the Canadian junior mining space who is leading Satori as President and CEO. He is a Chartered Professional Accountant with over 12 years of mining experience having worked on teams that brought 6 mines into production over an 8-year period: FNX Mining, Lake Shore Gold and Mineral Streams which was bought by AuRico, are a few of the companies he has worked with. I had a chance to ask Mr. Ansley some questions to give me the run-down of the highly prospective gold project at Tartan Lake and what to expect in the coming months. Hello Mr. Ansley, thank you for taking the time to sit down with me, let’s get right to it. What brought this mining to deal to your attention? How did it fall into your hands? Satori was brought to my attention through my relationship with Bruce Reid, Tartan Lake was one of a number of projects Bruce was trying to advance but he was spread too thin. I was looking to invest into the company by way of private placement as the Satori shares did not have a lot of liquidity; Bruce was not active in terms of marketing or getting the message out. In my opinion the asset is attractive with high grades, with significant infrastructure already in place, and is located within an established mining camp with access to skilled mining labor and parts. Having already been an existing mine, permitting will not be that difficult so it checks a lot of boxes. When I asked Bruce about doing a private placement he suggested I consider getting involved in managing the company going forward. Bruce’s experience with Carlisle Goldfields in the Manitoba Greenbelt was attractive. Carlisle’s primary asset was the Lynn Lake gold project, in Manitoba, which comprised of five near surface deposits containing total measured and indicated mineral resources of 2.75 million ounces of gold and total inferred mineral resources of 2.28 million ounces. The company stands out as significantly undervalued at ~$11/oz vs. peer average at ~$33/oz with a current market capitalization of approximately $6m. Why do you think the company is currently undervalued according to peers? It is really a matter of getting the message out and showing investors the incredible asset Satori has up in Flin Flon, Manitoba. As a result of the significant downturn in metal prices, over the past 5 years the company was essentially put on life support with very little work performed on the asset, no marketing, the telephones were all turned off, salaries eliminated. I have to give Bruce and the board a pat on the back, they rolled back the shares 10:1 and literally turned the taps off for several years. Since I came on board in the fall of 2016 we completed a 1600 metre drill campaign, with incredible results including 10.88 g/t Au over 13.1 metres and 9.99 g/t over 11.2 metres, strengthened our board of directors, issued an updated 43-101 technical report increasing our indicated mineral resources by 135% to 240,000 ounces of Au at 6.32 gpt, and we raised $1.3 million in order to advance our exploration efforts on the asset. Success from our current drill program will provide positive news flow, generate additional interest and provide materials to market the company with. With any luck we will be able to expand our existing resource and build further interest in our company. It is an unusual ticker symbol for a gold mining company. What is the story behind the BUD ticker symbol? The asset was spun out when Claude Resources acquired St. Eugene Mining for the low grade Amisk Deposit, and I understand the original management team was evaluating potential names and tickers while having some drinks – the CFO of the time was having a Budweiser and suggested they use the ticker BUD. The name of the company does not match with the ticker, but you know ever investor I speak with always remembers the ticker name BUD. What is your investor elevator pitch? A past producing high-grade gold asset with significant existing infrastructure in place, within an established mining camp. Our valuation is compelling at only $11/oz and we have enough cash on hand to allow us to materially advance the property. A little more detail about our existing infrastructure: there is a 450 tpd mill (which will require refurbishment) including operational hydro direct from the grid, a back fill plant, water management system, a terrific shop and maintenance facility, an office and dry facility, over 3100 metres of underground development including a ramp down to 320 metres as well as 6 sub-levels, a vent raise to surface, and tailings management system. What should investors expect to see over the coming year? We recently commenced a 4000-metre diamond drill program which will be split into two equal phases, and we are evaluating numerous regional targets outside of the main mining area where the resource is located. The overall property package is 2670 hectares and only ~ 15% has been explored by Satori. Does your team have experience with Greenstone Belts and in particular in Manitoba? Our geologic efforts are spearheaded by a company called Orix Geoscience, and we are fortunate to have them involved in the project. Orix has an office in Manitoba as well as Toronto and Sudbury Ontario. Their geologists have a wealth of experience not only in Manitoba but throughout the world. Their clients include a number of recognizable names in the gold space from large cap to juniors. On our board of directors we have Carl Hansen, who has worked in the Snow Lake area for Inco Gold, is familiar with operational history of the Tartan Lake Mine, and Gary O’Connor has over 30 years of global experience in the mineral exploration industry including senior positions with Gabriel Resources, European Goldfields, Freeport-McMoRan, BP Minerals and Amax Minerals. Board Member and largest shareholder Bruce Reid also knows the Greenstone Belt and Manitoba intimately. He was the former President and CEO of Carlisle Goldfields which proved up 5 million ounces at the Lynn Lake Gold Camp in Lynn Lake. Carlisle was purchased by Alamos Gold in January 2016. How is Manitoba as a mining jurisdiction? Manitoba is a terrific place to do business, rated #2 in the world by the Fraser Institute. Manitoba is pro-mining, pro-investment, and has arguably the cheapest hydro costs on the planet. Where we are located, in Flin Flon, and majority of the local mines are scheduled to close by 2020 therefore the entire region is highly motivated to explore and find new deposits to put into production. For example we received our drill permits within a day and have been encouraged to apply for a grant which provides a 50% credit on eligible exploration costs up to a maximum of $200,000 credit. What is your outlook on the gold price in the coming years? Despite the Fed’s recent increase in interest rates, the cost to hold gold is still relatively low and as a result we should continue to see investors and more importantly central banks own gold. Where do you get your mining news? I read a variety of sources including Kitco, the Junior Mining Network as well morning notes from mining salespeople and analyst reports. Having worked with Cordoba Minerals can you offer us any insight? What is going on? San Matias is a world class project in Colombia, backed by world class investors, and advanced by world class geologists. Recently they announced their intent to consolidate the asset back into Cordoba, the public company vehicle, and in the process raise a substantial amount of money in order to advance the project. The consolidation transaction should work out well for existing CDB shareholders, they receive a premium up front and get to ride along dollar-for-dollar with Robert Friedland. Historically this strategy has been highly rewarding for investors who partner with Robert, he thinks big and delivers big returns. I would like thank Will for taking the time to help provide some illumination on this company and wish him the best of luck with the upcoming drill results. The author does own a position in Satori Resources Inc. and was paid to write this investor update. Forward Looking Statements: This investor update contains certain information that constitutes forward-looking statements. Forward-looking statements are frequently characterized by words such as "plan," "expect," "project," "intend," "believe," "anticipate" and other similar words, or statements that certain events or conditions "may" or "will" occur. Forward-looking statements are based on the opinions and estimates of management at the date the statements are made, and are subject to a variety of risks and uncertainties and other factors that could cause actual events or results to differ materially from those projected in the forward-looking statements. These factors include the inherent risks involved in the hiring and retention of directors and officers, Satori may not be able to fund its plans, risks involving exploration and development of mineral properties, mine site planning and development, the uncertainties involved in interpreting drilling results and other geological data, fluctuating metal prices, permitting and licensing and other factors described above and in the Company's filings on the Canadian Securities Administrators' website located at www.sedar.com. The Company disclaims any obligation to update or revise any forward-looking statements if circumstances or management's estimates or opinions should change. The reader is cautioned not to place undue reliance on forward-looking statements.